There's only one Putin here. "The triumph of Vladimir Putin," the headline on the cover of last week's Economist, and "The Loneliness of Vladimir Putin," the headline on the cover of the most recent New Republic, seem to offer diametrically opposed assessments of Russia's president. They don't. "The increasingly real threat of economic turmoil is already chipping away at Putin's power with more effectiveness than any protest movement," says the New Republic. The Economist concludes, "The Soviet Union fell not just because its people rejected its ideology but because its economy crumbled. 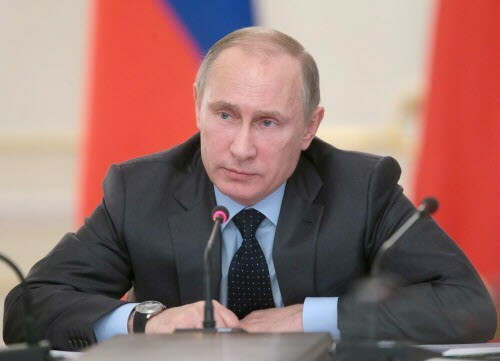 Unless Mr. Putin can get Russia working, his regime will go the same way." "Dissidents aren't interesting to anyone," he said, moving on to a French press of tea to wash down the meal. The last time I had walked this route with protesters in February, I had tweeted, "Putin's fucked, y'all," and the same thought crossed my mind as I looked at all the happy faces around me." Own up to your biases, I suppose. But this confidence didn't assure me that I was in for a measured and nuanced trip. Which kind of journalism is better? I guess I'm partial to the Economist's, because until it starts falling consistently on its face I'll feel confident repeating its assertions at dinner as if they hadn't just come out of a Crackerjack box. Besides, even though Ioffe's story is full of the flavor of local personalities, when she writes with aplomb of the imminent danger of economic turmoil I have a hunch she's relying on authorities like the Economist. I read the New Republic because it gets personal and argumentative and the Economist because it always seems to know what it's talking about. I wouldn't advise anybody to read only either one.